Global launch of the Oxford University Press (OUP) Oxford Test of English in collaboration with RM Results & PSI. OUP wanted an online testing system that could deliver an adaptive English language test across multiple assessment types. They wanted to offer students and businesses more flexibility in deciding when to sit a test, and to deliver faster results compared to traditional language exams. 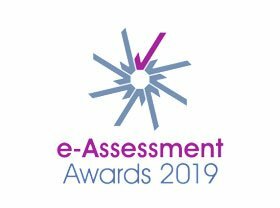 In 2016, OUP began the search for a software solution that could support their vision and chose to work with PSI to integrate their Atlas Cloud e-testing platform with RM Results e-marking platform, RM Assessor. This strategic partnership has now led to the successful launch of this new English language assessment. The Oxford Test of English (OTE) described by OUP as “the smartest English language proficiency test from Oxford”. It is the only one certified by the University of Oxford, and OUP describe this further as “more flexible, cost-effective, and faster than other traditional proficiency tests”. The OTE is computer adaptive, which means that the test adjusts the difficulty of questions based on the test taker’s responses, making the test more motivating, shorter, and giving a more precise measurement than traditional proficiency tests. “The collaboration with OUP to provide a best of breed assessment solution, that supports and enables OUP to execute their vision of a flexible and adaptive testing and grading of their Oxford Test of English, is one that all of the team at RM Results are extremely proud to be part of. The OTE is now available in ten countries, with plans to roll it out to 31 more over the next nine months.